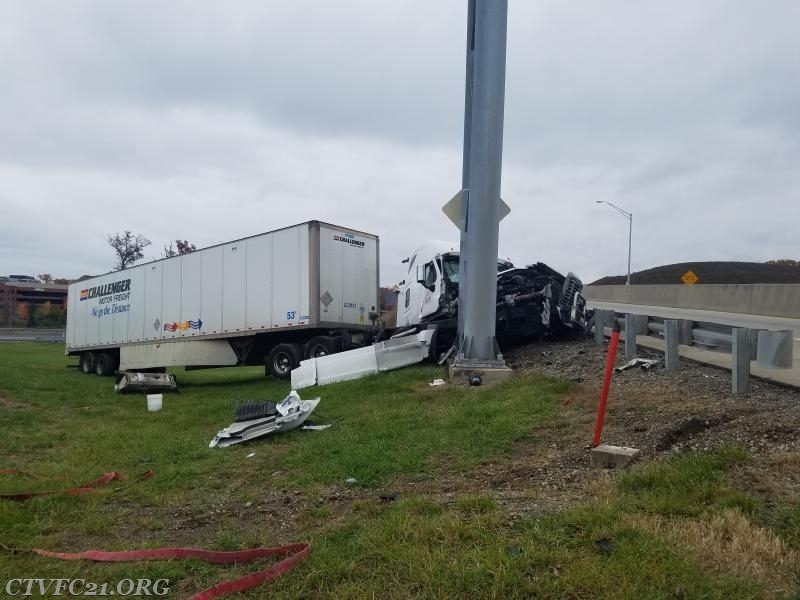 At 3:10PM Station 21 was alerted to a Tractor Trailer into a pole on the off ramp of I79 where it connects to the turnpike. Along with Station 51(EMS), Station 185(Marshall Township Allegheny County) and the Pennsylvania State Police. The driver was transported to the hospital by EMS and fire crews contained a diesel leak and controlled traffic and stood ready with a line while tow crews pulled the truck off the pole.